A growing battery business has found a new home in Redditch thanks to property agents John Truslove. Fogstar, which specialises in lithium-ion batteries, had outgrown its previous premises at a business centre in the town. The company has taken 1,506 sq ft at Unit 11, on the Royal Enfield Business Park, renting at £12,800 per annum on a five year lease. 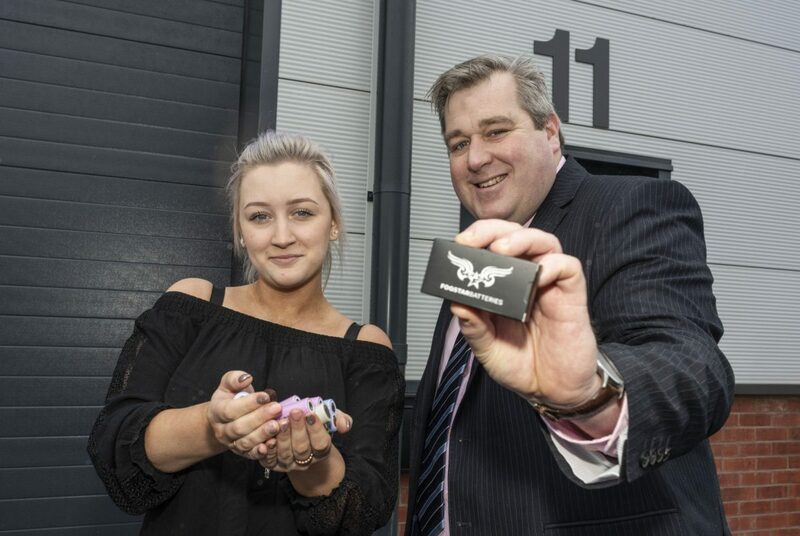 The onetime site of the Royal Enfield motorcycle factory was redeveloped two years ago into 11 factory and warehousing units by local firm EDR Developments Ltd, with John Truslove handling the marketing of the site. The speculative development totals 24,310 sq ft and is part of the wider Enfield Industrial Estate. Lyndsey Hodgetts, retail manager at Fogstar, said: “Ian Parker and the team at John Truslove were quick to see the kind of property we needed to cater for our growth. The unit is equipped with large loading bay doors as well as plenty of office space, which is ideal for our business distributing our batteries across the UK and into parts of Europe. “Fogstar was founded in 2015 to fill a gap in the market for smaller lithium-ion batteries used in torches, vape pens and even video door bells. As well as selling direct to the public we supply many independent retailers, particularly vape shops. Prepared by Simon Penfold of ASAP PR, 01789 490786.